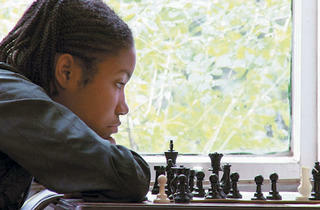 Chess prodigies and young athletes are the stars of this year’s festival. Nearly every year, the programmers of Black Harvest—Chicago’s annual, monthlong festival of films about black history and culture—book at least one title that makes a splash with audiences during its subsequent theatrical run. If there’s a breakout hit this year—a Being Elmo or a Trouble the Water—it’s probably Brooklyn Castle (August 26 and 30). Doing for budding Bobby Fischers what Louder than a Bomb did for up-and-coming slam poets, Katie Dellamaggiore’s festival-closing documentary peers inside a struggling NYC middle school whose chess team has won more national titles than any other junior high in the country. Among the team’s racially diverse roster, four leaders emerge; sticking doggedly to the competition-doc template, Dellamaggiore traces their parallel paths to the finals. It’s easy to bemoan the movie’s formulaic, Spellbound-indebted construction, but hard not to get wrapped up in the plight of its subjects. While one contender gamely vies to become the first African-American female chess master, another copes with the anxiety of trying to hold onto his high ranking. Economic realities threaten to cut the team’s progress short; the students rack up victories as their proud principal does some strategizing of his own against the budget-slashing school board. 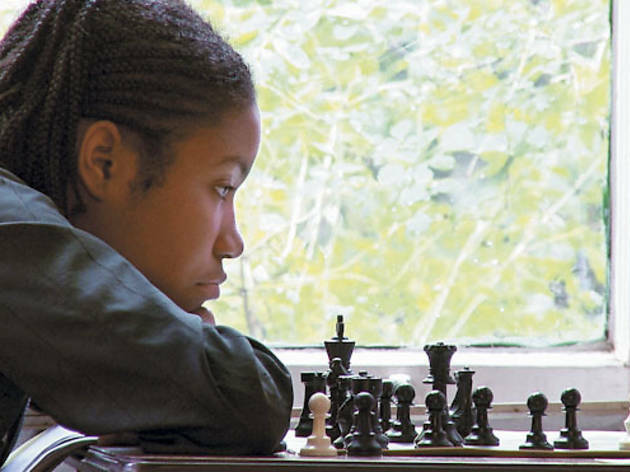 What’s most endearing about Brooklyn Castle is the case it makes for chess itself—both as an extracurricular passion for at-risk teens and a concentration-building activity in a world of short attention spans. No less conventionally structured, Ballplayer: Pelotero (August 12 and 13) follows a pair of MLB hopefuls who aren’t much older than the whiz kids of Brooklyn Castle. Like 20 percent of all U.S. pro-baseball players, these teenage athletes hail from the Dominican Republic, where the promise of a better life lures many young men into the cutthroat scouting system of the big leagues. Comparisons to Anna Boden and Ryan Fleck’s bittersweet sports drama Sugar are inevitable, though here the trouble begins before the boys get signed. (Allegations of falsified documents, especially those pertaining to age, lower their “market value.”) Given its focus on two dovetailing careers, Ballplayer also recalls the rise-and-fall trajectory of Hoop Dreams, which similarly challenged the romantic notion of upward mobility through athletic prowess. Programmed, perhaps, to capitalize on the comic-book craze dominating multiplexes, White Scripts and Black Supermen (August 26 and 27) finds a panel of artists and academics examining the legacy of fictional, dark-skinned crusaders like the Black Panther and Luke Cage. If director Jonathan Gayles’s talking-head approach is rarely dynamic, the crosscut insights of his interviewees often are. Choice film clips reflect the ongoing cultural exchange between cinema and comics—a swapping of tropes that, for better or worse, isn’t likely to let up anytime soon. While its most high-profile selections are documentaries, Black Harvest features a number of indie narrative dramas. The cream of this crop may be Mischa Webley’s handsomely shot The Kill Hole (August 28 and 29), in which two traumatized military veterans—an insomniac cabbie (Chadwick Boseman) and a Zen sniper (Tory Kittles)—square off in the Oregon wilderness. Though a bit heavy-handed in its exploration of PTSD, the film puts its urban and rural backdrops to good use, alternately resembling a Portland-set Taxi Driver and a survivalist action movie. It’s got serious sleeper potential. The 18th Annual Black Harvest Film Festival runs Friday 3 through August 30 at the Gene Siskel Film Center.